read. watch. listen. 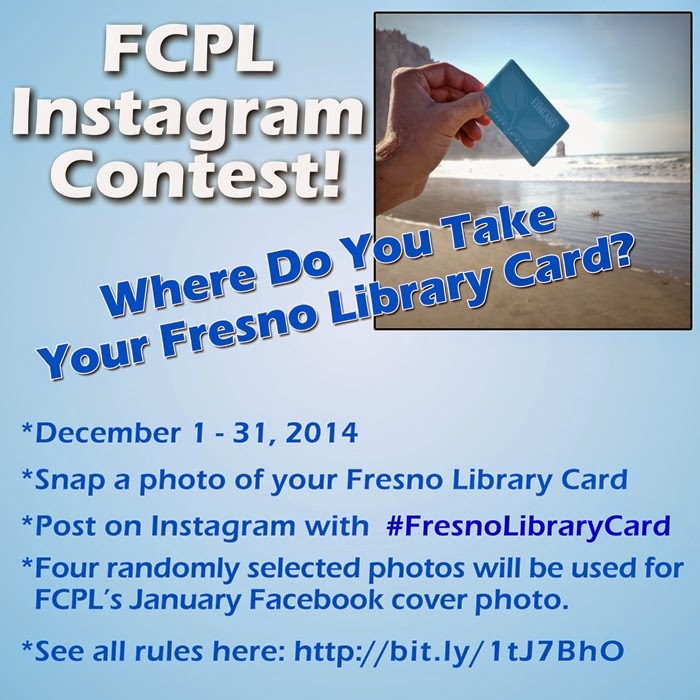 : FCPL Instagram Contest! Take a picture with your library card wherever you may go and post it on Instagram with #FresnoLibraryCard. Pictures will be selected and posted. Click on the image for more information.